In an era, and a country, where crime is supposed to be non-existent because “theory dictated that there was more work, more fairness, less exploitation”, we find a Russia which is truly terrifying. I have always been fascinated with Russia. I took almost enough Russian literature in university to have a minor in it. I suspect that in many ways, I have glorified this land of ice and snow, hand-painted boxes, and tortured writers. I probably have overlooked most of the suffering and pain that its citizens have endured. The bleakness of Russia in the 1950’s comes alive in this brilliant mystery. It is written with layers of paranoia over layers of deception. It is written with the characters’ fear and trembling, only mirrored by those in charge because they realize their lives are no different. Everyone is an accusation away from a life of exile. Or, torture. If you finished Gone Girl (or The Truth About The Harry Quebert Affair) with a sigh of disappointment, as I did, you need to read Child 44. It is a true mystery, an exquisitely wrought thriller with no games played at the reader’s expense. I haven't heard this one, it sounds great (from someone who was also left wanting more from Gone Girl). I have the same tendency as you to look upon Russia with rose-tinted glasses – there is something so majestic and captivating about the place that it's easy to overlook its many failings. This ones has been on my list for awhile. I need to see if I can get it at my library. This book is a true thriller the way I expect all so-called thrillers to be. 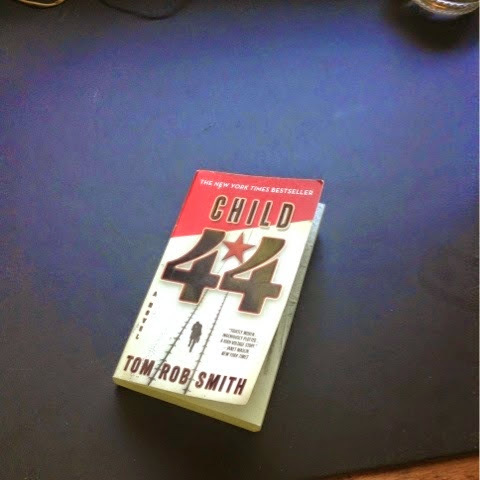 CHILD 44 sold me on Tom Rob Smith; I've read everything he's written since I read this. I keep confusing this book with Red Winter by Dan Smith – and so have ended up reading neither of them. I can see why you'd follow up with everything else he's written. I can't imagine they could all be as good as this one, but I suspect I'm going to find out for myself. This novel is outstanding!